Meeting facilator and Advisory Council member Ken Van Osdol led an illustrious group of people with enormous experience in ballot measures and Oregon politics, along with the OADP board members, in a three-hour discussion about the options moving forward toward stopping executions of death row inmates. The group included a former governor, 3 current Oregon senators, 2 Oregon House members, a former senator, a university politics professor, our communications consultant, California abolition leader, former Supreme Court Chief Justice, lobbyist, social justice organization head and former Oregon Law Center executive. Board member Terrie Rodello, represented Amnesty International USA, and board member Jeff Ellis represented Oregon Criminal Defense Lawyers Assn. Also, Ecumenical Ministries of Oregon (EMO) was represented by Britt Conroy, but not pictured here. At an intense pace, the conversation yielded a series of creative suggestions on how we could make moves to eliminate death sentences while we continued our full-voiced education efforts and a multi-pronged effort on statutory aspects of the death penalty laws. Since the death penalty came back to American states in 1976, there have been 1,476 executions. The highest yearly number was 98 in 1999. Last year there were only 23 throughout the U.S. Since 1976, Texas has executed 500 of its citizens, more than the next six states combined. While the number of executions and number of new death sentences have been falling, there are a few states who move forward with deadly intention to look for new ways to kill death row inmates. In the distant history executions took place, before blood-thirsty crowds, at high noon in the town square thinking that a highly visible execution provided deterrence to murder. 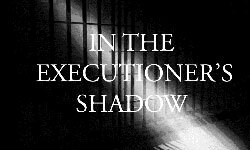 Now executions are held late at night, as secretly as possible out of sight from the public. A few southern states continue to try to "tinker with the machinery of death" looking for new methods of killing convicted inmates. The availability of the drugs to carry out death are harder and harder to get. 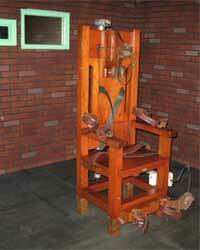 At the same time states like Oklahoma, Alabama and Mississippi are trying to improve upon the current methods of execution - hanging, gas chamber, electric chair, firing squad and lethal injection—have added nitrogen gas asphyxiation to their capital punishment arsenals. In its June 1, 2018 edition, Newsweek magazine takes an in depth look at how states do kill, when the bigger question should be "Do we even have the right to kill?". For the state-by-state record of executions, check out the Death Penalty Information Center. While reading this Newsweek article, consider that during the same years since 1976, when we executed 1476 people, there have been 161 exonerations of wrongfully convicted inmates. That is a ratio of one exoneration for every nine executions. Think about how many of those executed could have been innocent. 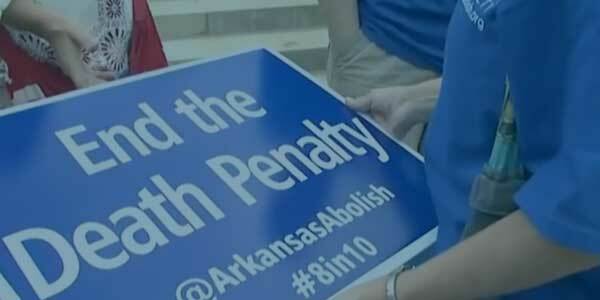 No matter the means of executions answer the question above," Do we have the right to kill?" Do you know your state legislators? Do you know what state senatorial district you live in? 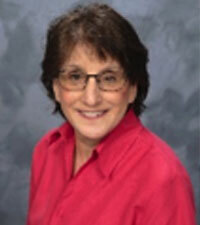 How about the person who represents you in the Oregon House of Representatives? 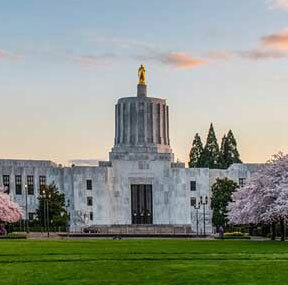 To stop executions and eventually repeal the death penalty in Oregon, it is important that supporters of OADP develop a strong knowledge of and familiarity with our Oregon legislature and its members. Having or not having a death penalty is a states rights issue. Knowing our five national congressional House members or two U.S. Senators is not essential on this states rights issue. As OADP makes efforts to move forward, we need to educate voters and we also to need to educate members of the legislature as well. The thirty senators and sixty representatives will have a lot to do with our success. The task of informing and influencing the positions of legislators will require a huge effort by literally thousands of OADP supporters. Members of the OADP Advisory Council and thirteen-member OADP board of directors will not be enough. We ask every reader of this article to pitch in. 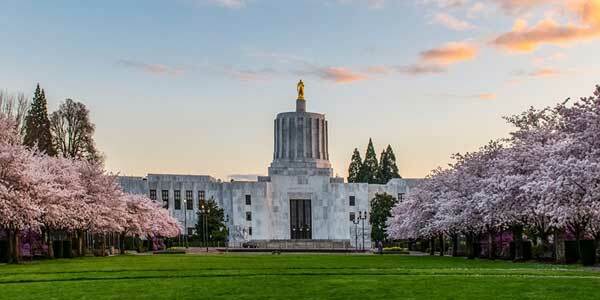 If you do not know your Oregon representative or senator simply go to www.oregonlegislature.gov website. 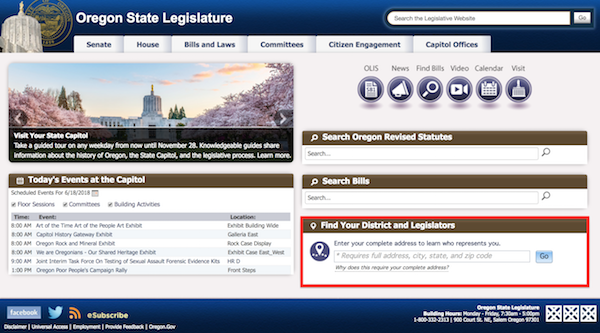 In the lower right portion of this State home web page, look for FIND YOUR DISTRICT AND LEGISLATORS. Add your address and you will get names and information about both of your legislators. As we move forward there will be information on how you can help us succeed in our efforts to stop executions in Oregon. The OADP Million Conversations Initiative Project that began last fall continues to thrive and bloom as we enter the summer of 2018. The idea was to create dialogue to stimulate more frequent and robust conversations about the Oregon death penalty. Rather than preaching to someone or posing a debate or discussion, dialogue promotes an exchange that is open, non-controversial and leads to more thought and consideration of each other's ideas. One example would begin with, "What do you think about the Oregon death penalty?" As the conversation continues, the ideal way to keep exchange open and provocative is to have the person you approach think about the subject of the death penalty in a non-judgmental way. Our table at the Solidarity Fair in Corvallis. 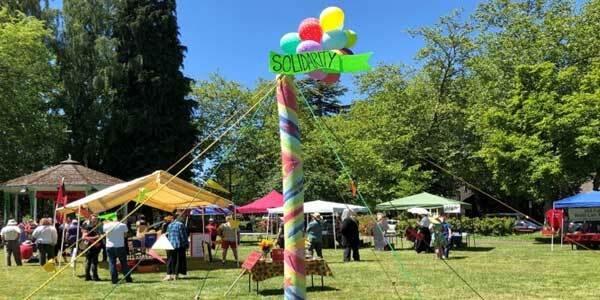 The effectiveness of this technique to provoke conversation and thought worked very well at the 7th annual Corvallis Solidarity Fair on Saturday, June 2. Approximately 30 information tables created a huge circle in the city's Central Park. Hundreds of fairgoers mingled throughout the afternoon, visiting tables, listening to music, participating in theater skits, and learning about each of the organizations' activities. Many of the participating organizations, including OADP, were advocating for causes, political organizations, labor unions, and health providers. Your first thought might be in a group like that you may be preaching to the choir. To a degree, that could have been true, but many of the people visiting our OADP table when asked "What do you think of the Oregon death penalty?" answered, "Does Oregon have a death penalty?" This response is the essence of starting our Million Conversations Initiative. At times even the choir needs some encouragement, some support, and some information that makes efforts winning support to our mission more effective. For the four hours of our tabling, we secured 27 individuals to sign up as "supporters". Five new organizations agreed to become Secular Organizational Supporters. Three more organizations invited us to upcoming meetings to make presentations to their boards and members on why they should consider our invitation to join with us in our task of educating voters, contacting legislators, and helping us stop Oregon executions in our names. Two OADP volunteers, four hours each, helped to boost support for our organization using the Million Conversations concept. We need more of us doing more of that as we move forward. 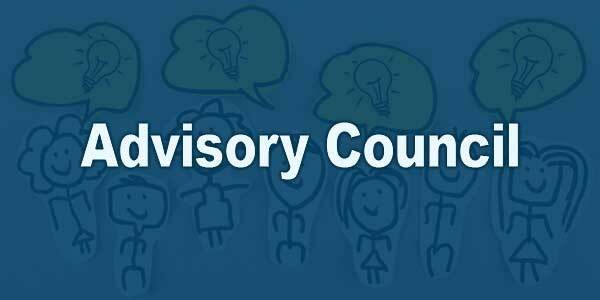 Since its inception in 2010 the OADP Advisory Council has grown in numbers and importance. 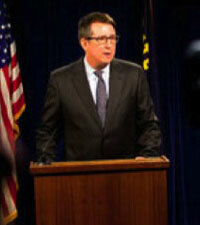 The stated purpose was, and is, to gather members vitally interested in ridding Oregon of its death penalty; willing to provide advice to the board of directors; make connections with other like-minded people who also might be interested to assist us in our mission; occasionally participate in committees; and support our efforts by attending events. To date the roster of 90+ members have provided considerable value by providing advice and participation in our activities. In the past month two more outstanding individuals have joined our ranks with special resumes. Their resumes include very high-level positions in faith, peace and justice organizations. For the past fourteen and a half years Rev. J.W. Matt Hennessee has served as the Pastor of the Vancouver Avenue 1st Baptist Church in Portland. Pastor Hennessee has lead his church in growth of his congregation, new activities and service to the larger Portland area. Along with his church members, Vancouver Avenue 1st Baptist Church has grown their music ministry, Sunday School, bible studies, and prayer meeting and secured financial solvency for the congregation. Education of youth and young adults along with community involvement in social justice endeavors have been of great emphasis for Rev. Hennessee. 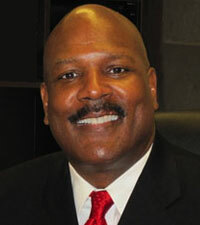 In addition to his enormous responsibilities with his growing and vibrant church, Pastor Hennessee has had a career of leadership in community involvement focused on educating youth, working with Portland law enforcement to reduce gang violence and agencies making efforts to reduce crime. He has a heart and passion for social justice by working with people wishing to see the barriers between people destroyed. 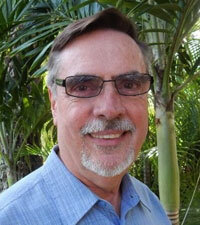 The second new OADP Advisory Council members is Paul Krissel, an Organization Development Consultant. As a vocational rehabilitation counselor in Pennsylvania starting in 1971 he became an activist and eventually President of SEIU local 668 representing 20,000 social service employees. 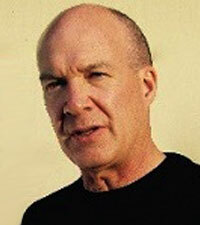 Paul moved to Oregon in 1996 to direct the Oregon School Employees Association before moving on to serve on the western region staff of the national AFL-CIO. His organizational skills, expertise in development and managing change are perfect fits for the current needs of OADP. Here in Oregon, Paul has served as a board member for many nonprofit organizations, including Causa, the Salem Keizer NAACP and chair of the Northwest Health Foundation. He currently serves as co-chair of the Racial Justice Organizing Committee in Salem, an organization of allies and freedom fighters for racial justice in Oregon. He continues to serve as president of Paul Krissel Consulting. Paul earned his BA from the University of Pennsylvania in 1971, an MS at American University in 2006, and a post graduate certificate in diversity and inclusion from the NTL Institute in 2008.